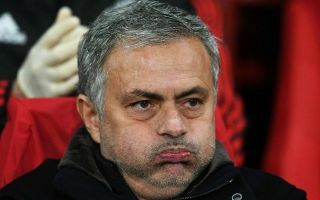 Man Utd and Jose Mourinho endured a miserable night after falling to a 3-0 defeat to Tottenham at Old Trafford on Monday, and there could be more bad news. The Red Devils were looking to bounce back after their defeat to Brighton, but Mauricio Pochettino’s men had other ideas as they produced a clinical display to secure all three points. That in turn raises the pressure on Mourinho and his players, albeit it was an improved display compared to the one seen last week, although the heavy defeat ultimately makes it irrelevant. If that wasn’t enough to deal with, the club’s official site suggest that Phil Jones has suffered a probable hamstring injury after being replaced in the second half having been forced to limp off. The severity of the issue is unclear for now, but Mourinho was seemingly confident in his other options despite the fact that they’ve now conceded seven goals in their first three Premier League games. I don’t know what Phil Jones has,” he is quoted as saying. “Maybe a hamstring but I did not speak yet to know what it is – but we have Smalling, Lindelof and Eric Bailly. Man Utd face Burnley away this weekend before the international break, and so while Jones may likely now miss that encounter, he will have an opportunity to recover and potentially push to regain his place in the starting line-up against Watford on September 15. Having only just returned to make his first start of the season, he’ll undoubtedly be frustrated to have suffered such a setback, although both the player himself and the club must be careful to avoid rushing him back and aggravating the problem given the nature of the injury.